The legacy of Africa’s colonial history for many states includes numerous post-independence national boundaries that are unclear and sometimes violently disputed. Only a third of the borders in sub-Saharan Africa are clearly delimited and demarcated. The African Union (AU) considers ill-defined borders as potential sources of conflict, especially when natural resources are discovered in the border regions. Such borders are a threat to peace and security, and they hinder regional integration, economic growth and development. In 2007, the AU launched the African Union Border Programme (AUBP) as a direct response to these risks. On behalf of the German Federal Foreign Office (AA), GIZ is assisting with the implementation of the Border Programme across the continent, and at regional, national and local levels. The project is led from Addis Ababa and reflects the different levels of the AUBP: Support to AU Member States for border management; Cooperation with regional economic communities; Support for the AUBP unit and other border-related entities within the AU Commission. 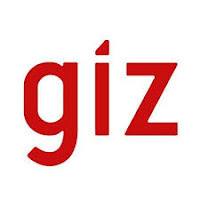 Reflecting the AUBP’s core components, the GIZ support encompasses delimitation and demarcation, cross-border cooperation and capacity development on the continental, regional, national and local level. We will pay a lump sum depending on the country and the duration of the internship.